Claiming that the Constitution was violated through ‘depriving’ the country’s 160 million people of their rights in the Dec 30 election, Jatiya Oikya Front Convener and Gano Forum President Dr Kamal Hossain said the people are calling the polls a farce and a drama. “The 160 million people will not accept it (violation of the Constitution) and we will do whatever we deem necessary,” Dr Kamal told at a commemorative programme in Dhaka on Tuesday (Feb 12). 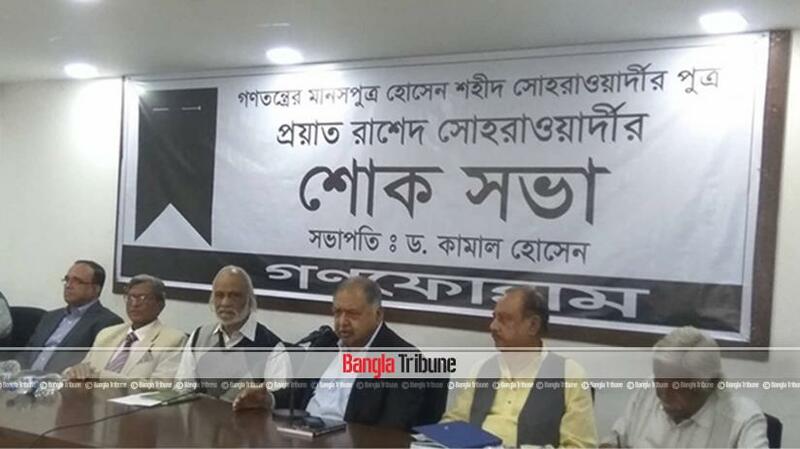 Gono Forum organised the programme commemorating the death of Rashid Suhrawardy, son of former Prime Minister of erstwhile Pakistan Huseyn Shaheed Suhrawardy. Rashid died in London on Feb 7. Referring to Prime Minister Sheikh Hasina’s recent remarks on the election that they had come to power for another five years, Kamal said, “We think 160 million people of the country have deprived of rights, which is a violation of the constitution.